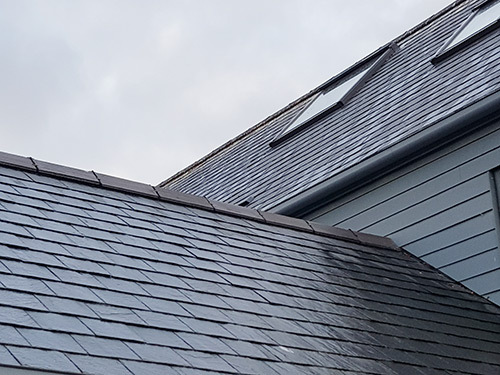 If you are renovating or building your own property, we are able to supply slate to you directly, if there are no wholesale suppliers that cover your geographical area. Many areas of the UK are synonymous with slate roofs: The Lake District, Cornwall, much of Wales and Scotland for example. Period homes tiled with stylish blue/grey slate roofs are often the picture-postcard ideal of the quintessential British landscape. 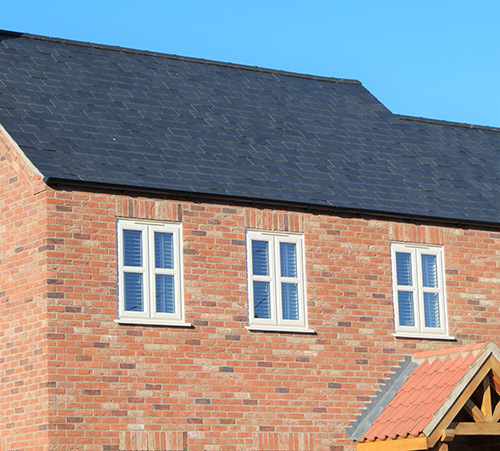 Seen as a high-quality, timeless choice, planners often make a slate roof a condition of a house design. If you require support, advice or input, please contact Primera Slate so we are able to support your choices from the earliest possible point of your build process. Although traditional, slate is not restricted to traditionally-styled properties. 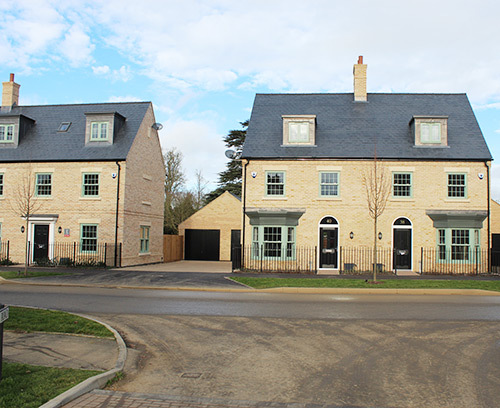 Our slates can be laid to look crisp and clean on modern properties as well as timeless and traditional on period builds. 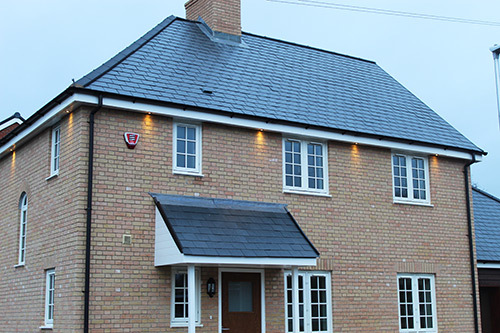 As slates are available in a variety of thicknesses, colour variations and textures, choices are very wide and subjective. Some styles are intrinsically linked to geographical areas or styles, although most options are down to personal choice with variations in colour, hue and texture being the primary differentiators. 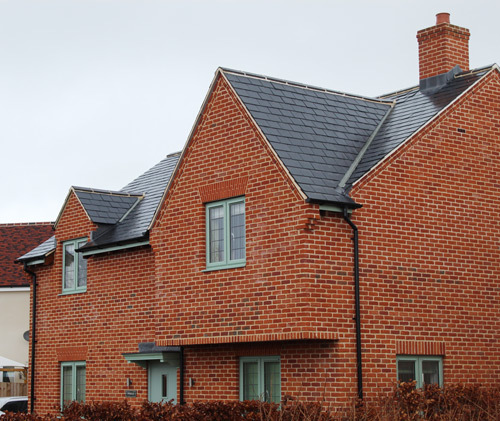 The riven surface grain, together with subtle tonal variations help to create irregular roofing surfaces which cannot be replicated with synthetic materials. 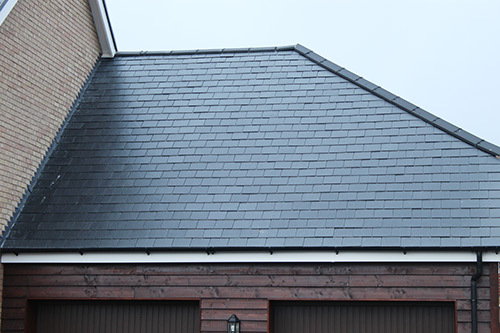 Many considerations must be made when installing a slate roof. The most significant of these is the wind, rain and other climate factors. Whilst smaller tiles are more suitable for steeper pitches, flatter roofs will demand a wider tile unit. The headlap, which is the size of the overlap between the successive rows of tiles to keep the whole roof watertight, is also variable, according to roof pitch and the level of exposure to the elements of your property. Our team is available to answer any questions you may have as part of your research ahead of making an order, or to understand specifications or options. We have been asked all of the questions before and love to share our knowledge so please ask away!